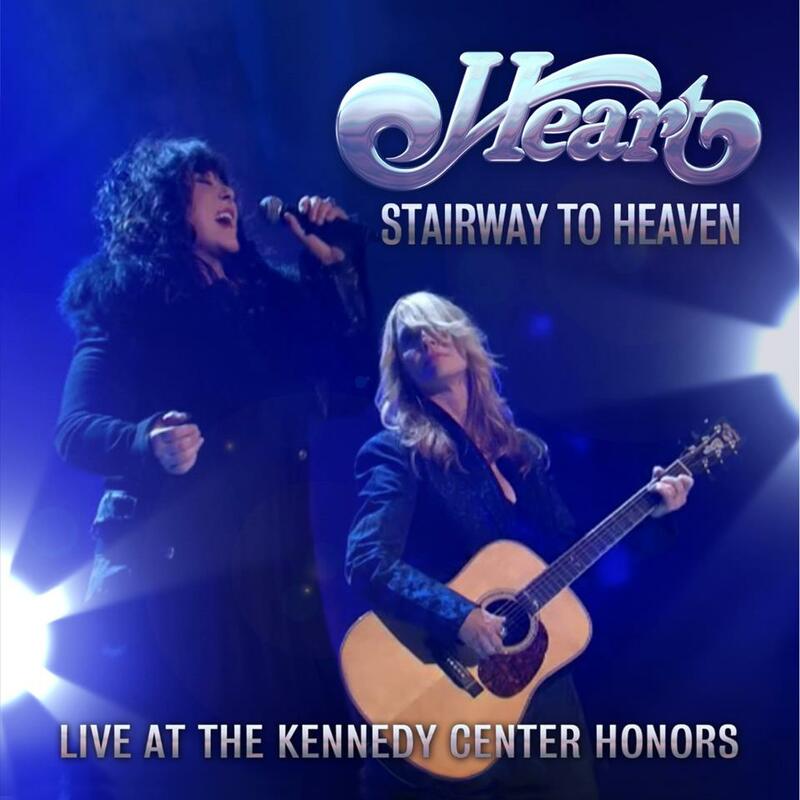 Heart’s performance of the Led Zeppelin classic “Stairway To Heaven” from last month’s Kennedy Center Honors tribute has been released. The track is available at iTunes here. "I am so happy you all liked our performance of Stairway to Heaven at The Kennedy Center Honors event,” posted vocalist Ann Wilson. “It was our honor to be asked to do it before an audience like that. My main goal though was to please Jimmy Page, Robert Plant and John Paul Jones...especially Plant, since all these many years he has taught me so much about singing from the soul and has given me such pleasure in his lyrics. What a high that night was. Never to be forgotten!" Zeppelin were on hand along with fellow 2012 recipients David Letterman, bluesman Buddy Guy, actor and director Dustin Hoffman, and ballerina Natalia Makarova. Heart will be inducted into the Rock & Roll Hall Of Fame’s Class of 2013; joining the rock legends are Rush, Public Enemy, Donna Summer, Randy Newman and Albert King. The Rock and Roll Hall of Fame induction ceremony will be held on April 18 at the Nokia Theater, marking the first time the ceremony will be held in Los Angeles since 1993. The event will be recorded for broadcast on HBO on May 18; tickets for the 2013 induction ceremony go on sale to the public on January 25.